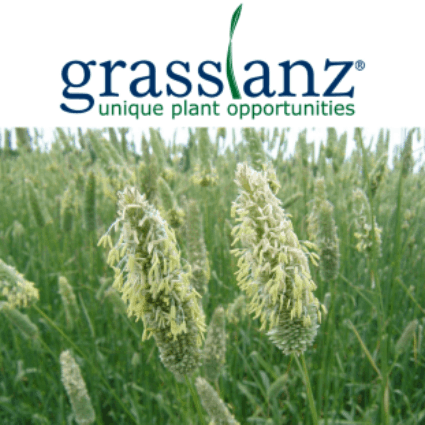 Phalaris is a hardy, blue-green perennial, which grows best on drier soils and in autumn and winter. It grows strongly during autumn and early winter, so can be included in mixtures with ryegrass (spring growth) and cocksfoot (summer-winter growth), or with tall fescue and clovers. Phalaris has excellent drought regrowth. It withstands hard grazing and treading once established, has excellent pest resistance and is known to reduce grass grub numbers in soil, helping to protect companion grasses and legumes. Phalaris contains an alkaloid that can cause the nervous disorder phalaris staggers in grazing stock, especially when little other feed is available. Breeders have sought improvement to phalaris in relation to alkaloid poisoning and when phalaris is used as a very minor component with other dryland grasses this is not normally a problem.